A view of the Baikalsk Pulp and Paper Mill, on the shores of Russia’s Lake Baikal, taken on August 11, 2003. The polluting paper mill on the shores of the world’s deepest freshwater lake, has shut and will be firing almost 800 workers this week, employees and management said. MOSCOW (AFP) – (AFP) – The polluting paper mill on the shores of Russia’s Lake Baikal, the world’s deepest freshwater lake, has shut and will be firing almost 800 workers this week, employees and management said on Monday. The Baikalsk Pulp and Paper Mill, a gigantic Soviet-era factory built in the 1960s and located on the southern tip of the Siberian lake has “stopped and will not work again,” the head of the facility’s labour union Yury Nabokov told AFP. The factory’s manager Alexander Ivanov told RIA Novosti that it will be firing 780 workers Wednesday and starting a process to close the giant facility, which may take up to two years. About 700 workers will continue to work at the heating plant that services the town of Baikalsk but is run by the mill, he said. Environmentalists have long battled for the closure of the crumbling plant, the main employer in the town of 13,000 people. The plant was shut and its employees fired in 2008, but following protests, then prime minister Vladimir Putin ordered it open again in 2010, citing unemployment concerns. The government has for years debated the future of the town and the mill, but no programme has been developed for the workers, who are being laid off right before the harsh Siberian winter. “Nobody is offering workers any other jobs. There are no other industries in the town… there are only 100 openings, all for low-paying jobs,” Nabokov said angrily, adding that they are ready to stage protests. “Five years ago the government promised to retrain workers, but it never happened. Nobody proposed anything to the employees… again we are hanging over the abyss of poverty and unemployment,” he said. Lake Baikal, the world’s deepest freshwater lake and a UN World Heritage site, is renowned for its unique flora and fauna, such as the unique Baikal seal, and contains about 20 percent of the planet’s freshwater reserves. 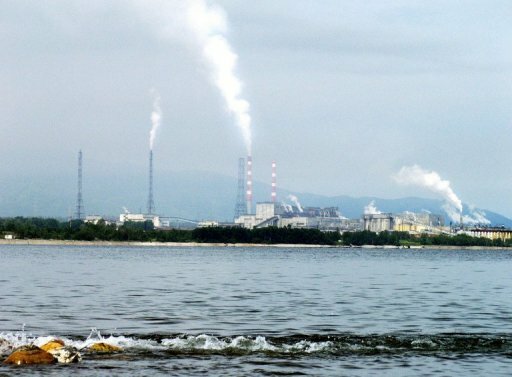 Local environmental NGO Baikal Environmental Wave said the plant now must figure out what to do with the decades’ worth of toxic waste stored around it, which consists of about six million tonnes of sludge lacerated with chlorine. “There are 14 tanks, each one of them the size of several football fields,” said Maksim Vorontsov, an employee of the group based in Irkutsk. He added that the plant’s shutdown was long expected since the plant had been loss-making for years.